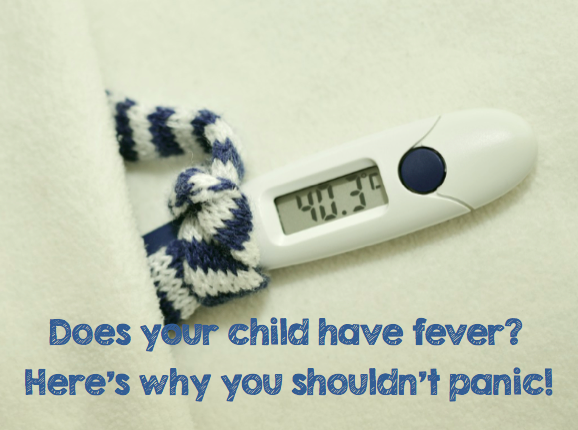 As children, we were raised to think that fever is a monster that we have to get rid of as soon as it looms. And as mothers, we tend to fret as soon as our babies or young children develop fever. We're programed to quickly try to figure out how to reduce it thinking we're protecting the child from its adverse effects. So, is fever a bad thing? It turned out that fever is a positive sign that the child’s immune system is working well and responding to bacteria, viruses and all other pathogens that are trying to invade his body and that it is not something to fear. In fact, the American Academy of Pediatrics (AAP) does NOT recommend fever-reducing drugs unless the child is uncomfortable or has a history of fever related seizures (1). What are the benefits of fever? - Increased temperature directly kills microbes. Most bacteria and viruses grow at a temperature that is lower than that of our body. - Creates a barrier between our iron reserves and the bacteria, which feed on it. - More white blood cells and antibodies are produced to fight off the invading pathogens. - More interferon, a natural antiviral and anticancer substance, is produced. Moreover, studies have shown that fever-reducing medications may actually work against our immune system! - A study found that pain relievers, including aspirin and ibuprofen, gravely inhibited the white blood cells' ability to produce antibodies (2). As you may know, antibodies are y-shaped proteins that neutralize bacteria and viruses. - Another study found that adults infected with Influenza A, one of the most serious and highly contagious influenza strains, who were given acetaminophen, also known as paracetamol, witnessed a prolonged illness duration (3). According to PubMed Health, febrile seizures may occur when a child rapidly develops a very high temperature or if he already has high temperature. It is estimated that 2 to 5 children out of every 100 will have had at least one febrile seizure before the age of five. And although these seizures can be very alarming, they are usually harmless. The report also states that there is no clear scientific research on whether fever-reducing medications can actually prevent febrile seizures (4). - If a child is younger than 3 months and has temperature. - If a child is 3–12 months old and has a fever of 39 °C or higher. - If a child is under age 2 and has a fever that lasts longer than 48 hours. - Anyone with a fever that is over 40.5 °C. - Offer the child plenty of hydrating fluids. The best would be water with a squirt of lemon or coconut water as they provide the necessary amount of electrolytes. Fruit juices are not recommended in high quantities because of their sugar content. - A good probiotic to help support the immune system. - Chicken soup or bone broth. Studies suggest that mothers' gut intuition to give their children chicken soup when sick is correct. Chicken soup was found to possess anti-inflammatory properties, which may help curb infection (5). - Vitamin c. In the 1970s, researcher Dr. John Ely found that immune cells needed 20 times more vitamin c than normal cells to function properly. Moreover, the late Dr. Frederick Klenner, who started experimenting with high dose vitamin c in the 1940s, suggested 1 gram of vitamin c a day per year of life for children up to 10 years old. - A lukewarm bath with some Epsom salt and essential oils added, not a cold one. - Rest. Rest is the time when our body heals and repairs itself. - Finally, if the child feels uncomfortable and the fever needs to be brought down, place a piece of cloth soaked in a mixture of water and apple cider vinegar on the forehead of the child. Apple cider vinegar is an old remedy for fever. It is always best to boost a child's immune system than to have to deal with the repercussions of disease. It is very important to place children on a diet full organic vegetables, fruits, healthy fats and proteins, while minimizing their intake of refined sugar and carbs. 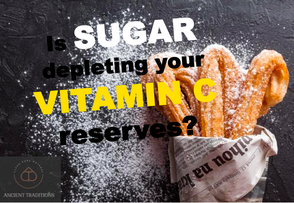 Science has proven that sugar compromises the immune system and depletes vitamin c reserves in our body. - Probiotics. The good bacteria in our gut accounts for around 70% of our immune system. Isn't this a good reason to consider adding probiotics to your child's diet? - Cod liver oil. 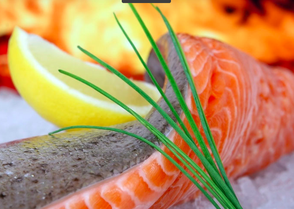 Highly recognized for its anti-inflammatory properties, research shows that children born to women who supplemented cod liver oil during pregnancy suffered from less colds during their first six months after birth. - Colostrum. Research suggests that colostrum is three times more effective than a flu shot. 1. The American Academy of Pediatrics does NOT recommend fever-reducing drugs unless the child is uncomfortable or has a history of fever-related seizures. 2. Fever directly kills microbes. 3. Studies reveal that fever-reducing drugs may prolong illness duration. 4. There is no clear scientific research on whether fever-reducing drugs can prevent febrile seizures. 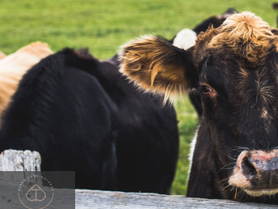 5 Ways Colostrum Can Boost Your Health!